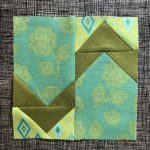 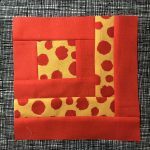 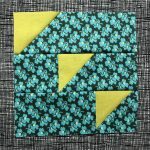 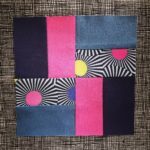 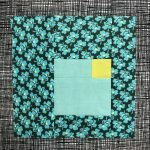 Each month we create blocks for our fellow Bee Members so that they will have close to enough blocks to create their own quilt. 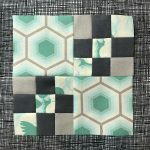 There are 23 members in the Super Bee’s! 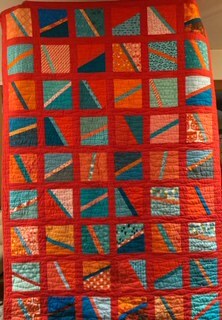 This is the Los Angeles Modern Quilt Guild group of quilt enthusiasts that I belong to. 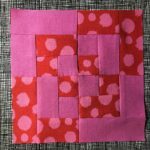 Each month we create a block for the other 18 members, therefore you basically have enough to make a quilt. 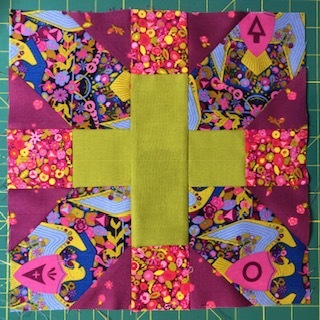 For the first challenge we did a charity quilt for Miriam’s House. 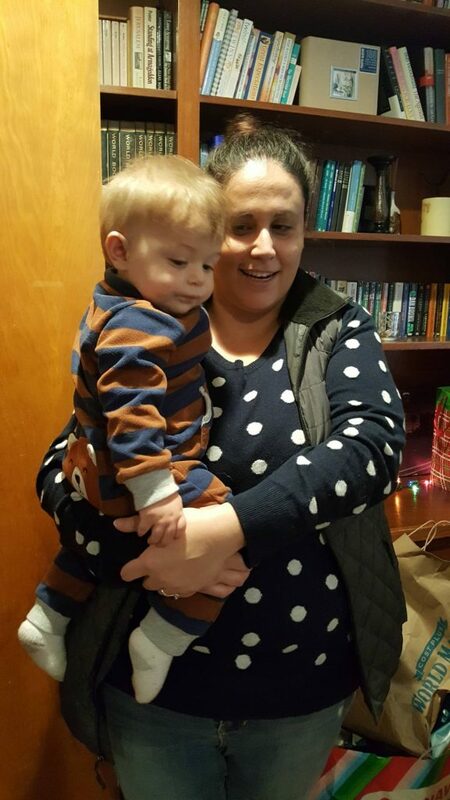 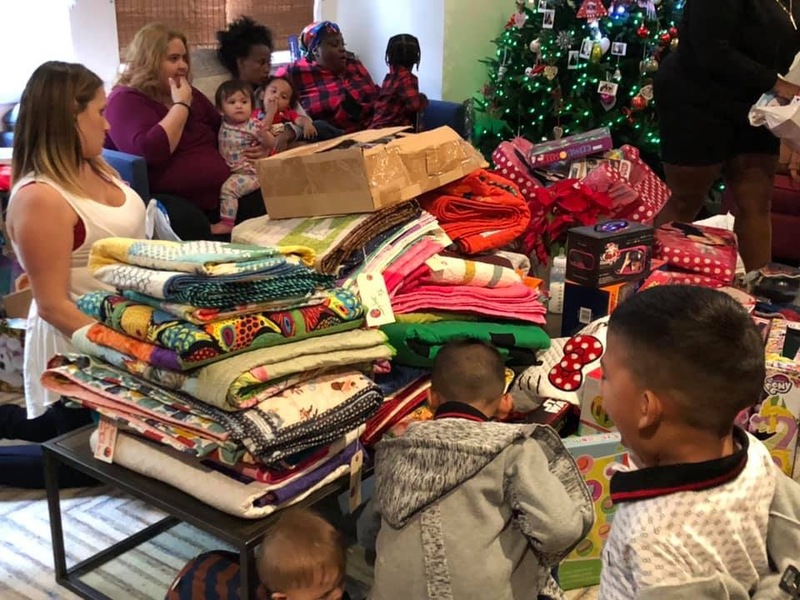 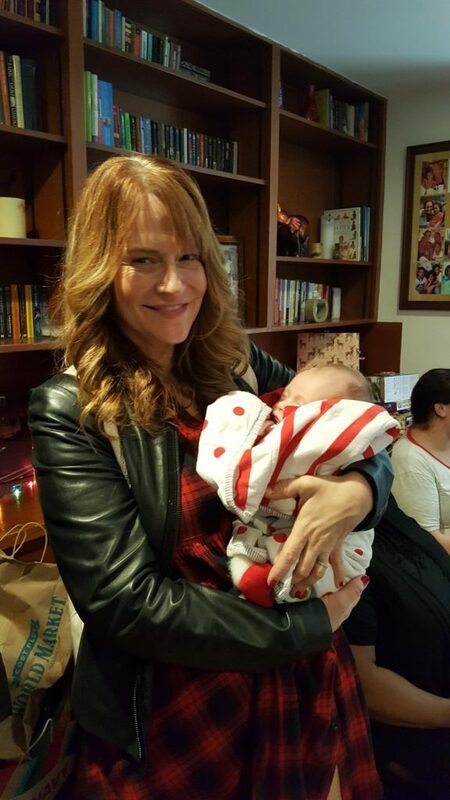 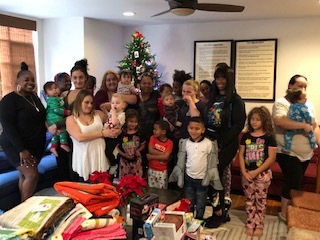 I actually got to go to Miriam’s House on Christmas Eve to give the mother’s and their children a quilt for Christmas. 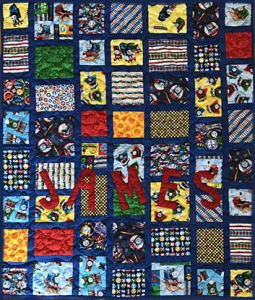 For James’ third birthday I made him a quilt with Thomas the Train as the theme. He has been so intrigued by the trains that I thought he would enjoy cuddling with this quilt. 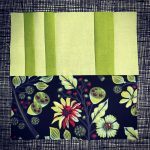 The biggest challenge was finding the the various pieces of fabric, as most were discontinued. 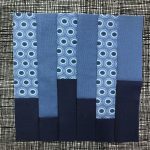 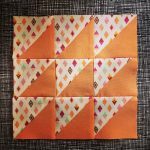 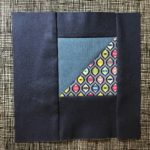 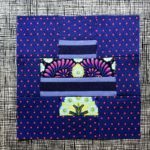 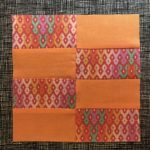 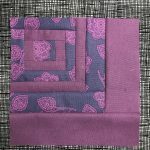 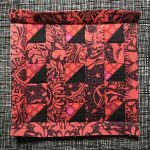 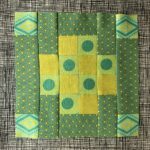 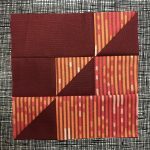 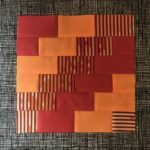 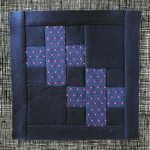 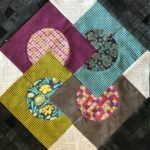 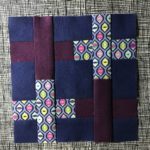 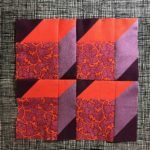 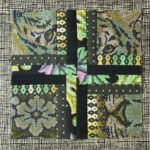 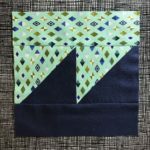 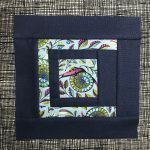 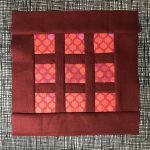 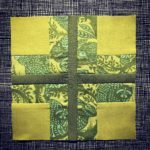 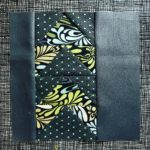 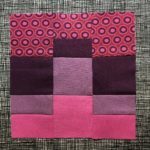 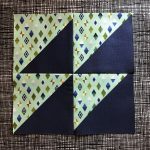 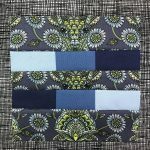 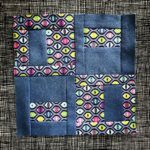 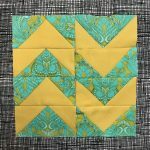 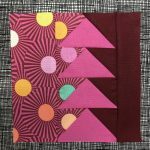 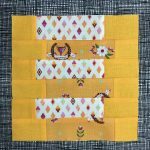 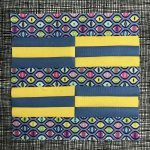 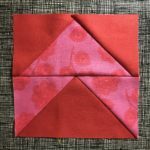 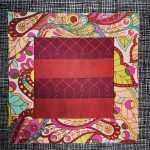 I designed the quilt with Electric Quilt 7 software and made each column different widths and within the column the blocks were various heights. 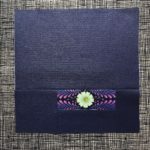 Binding was all done in a royal blue by Kona. 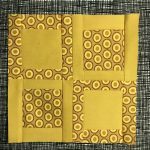 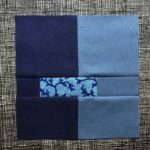 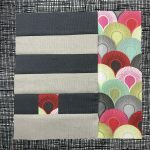 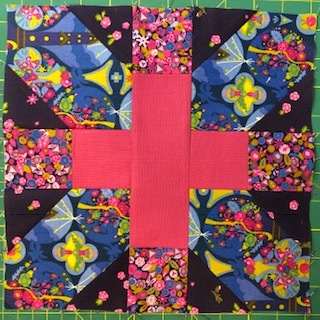 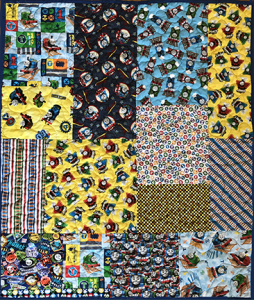 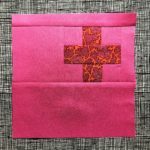 The quilt backing was made up of various sizes and selections of Thomas the Train fabrics. 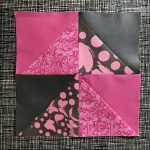 Starting the 2nd week of May I started the 100 Days/100 Blocks Tula Pink City Sampler Quilt Challenge. 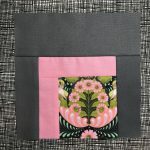 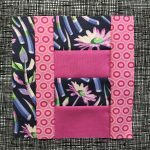 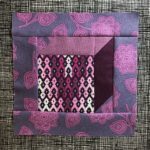 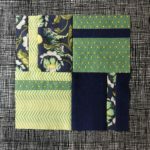 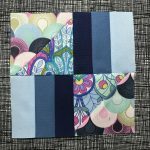 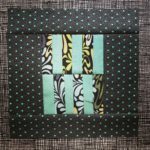 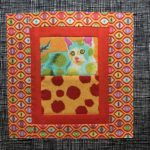 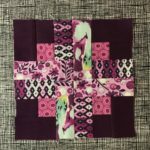 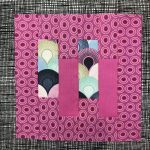 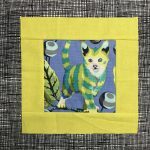 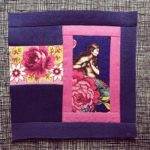 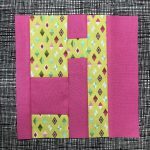 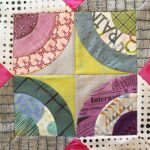 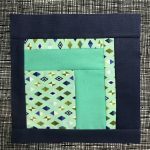 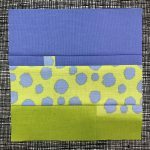 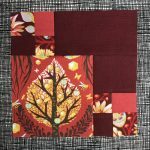 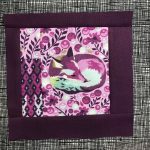 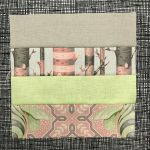 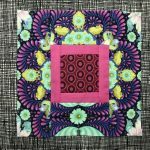 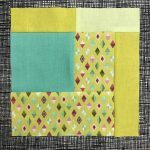 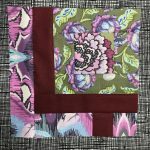 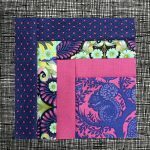 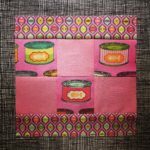 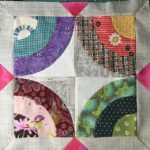 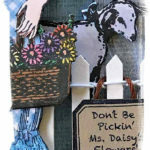 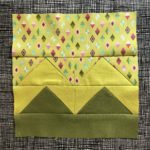 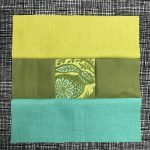 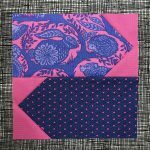 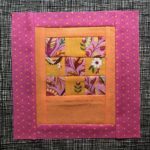 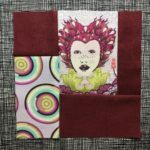 The goal of the challenge is to make one block each day for 100 days, using predominantly Tula Pink fabrics. 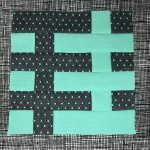 I have completed over 40 of the blocks- feeling great! 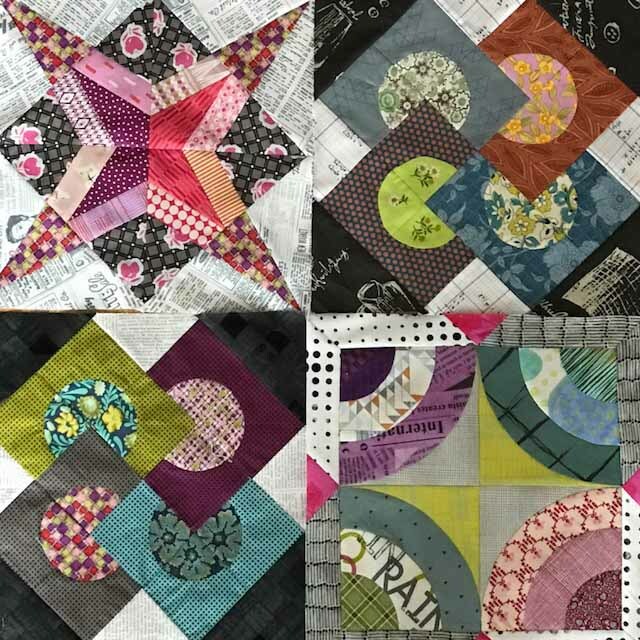 Can’t wait to see them all blocked and assembled together. 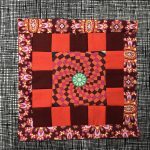 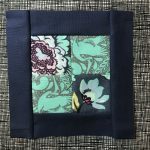 It has been a while since I posted any quilts, however that is not to say I have not been busy making them. 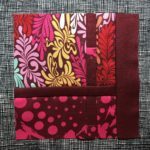 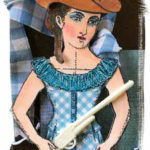 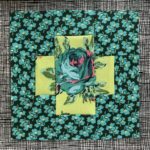 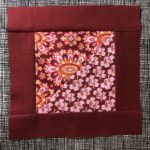 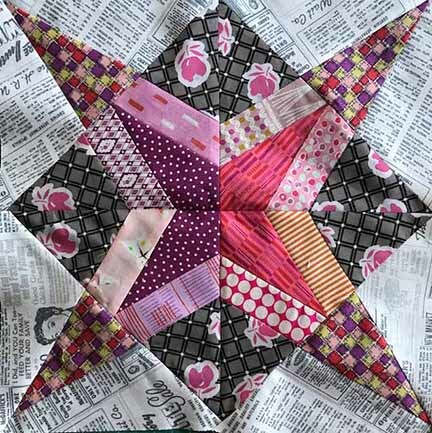 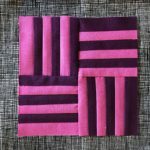 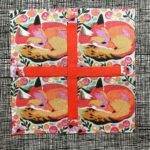 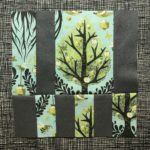 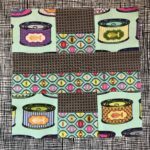 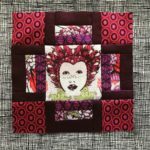 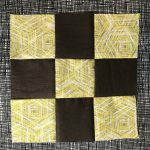 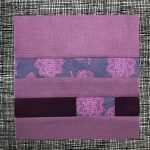 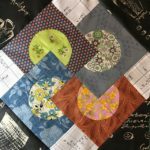 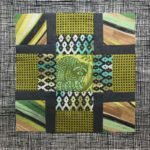 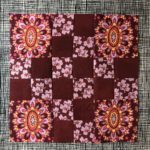 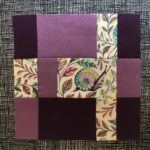 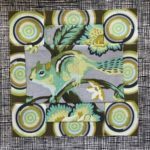 I am in the process of making several block of the month quilts, including the one shown here, Delilah. 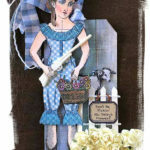 It’s one of my favorite times of the year with spring well into season and the weather feeling so great. 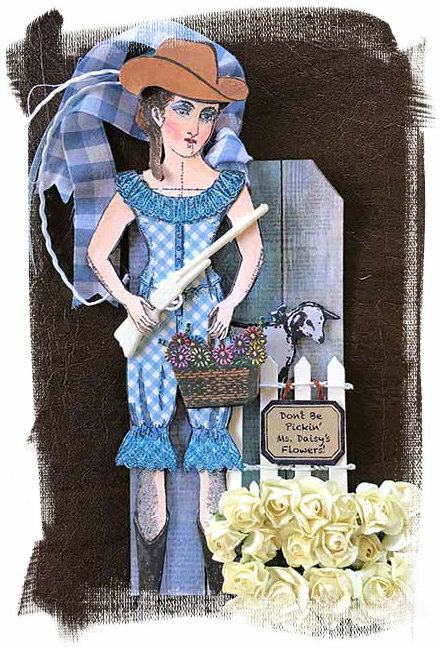 There is also a freshness in the air that comes with all things growing. 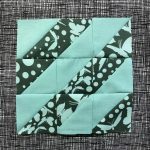 I love seeing the various fruit tress and flowers starting to bloom. 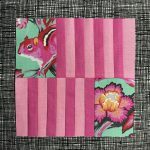 Last weekend the cherry blossoms were in full bloom in San Francisco. 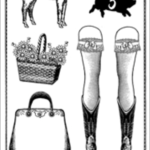 For Easter I challenged myself to incorporate as many of the Character Constructions stamps as I possibly could. 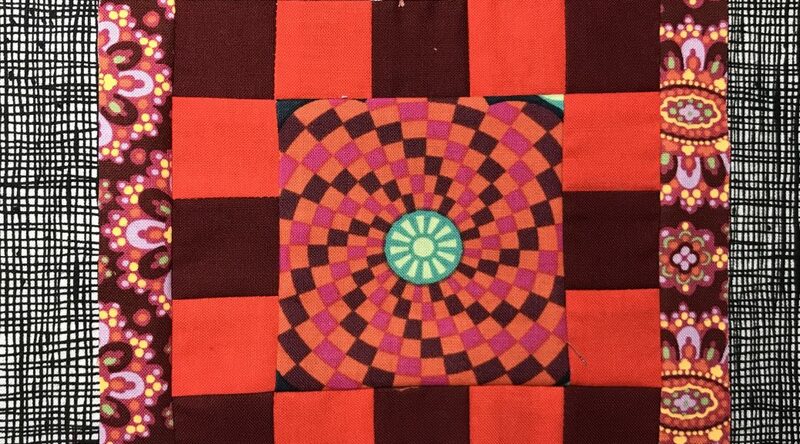 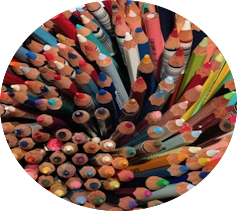 This time I chose to color the images with colored pencils. 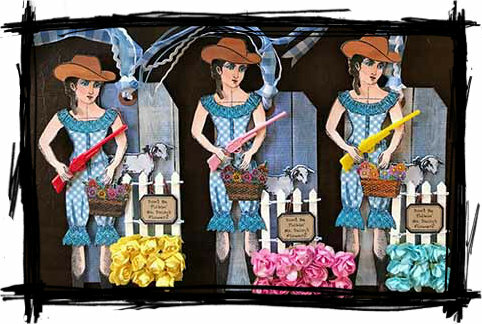 After coloring the images I back them with various colors of cardstock to give them more umph! 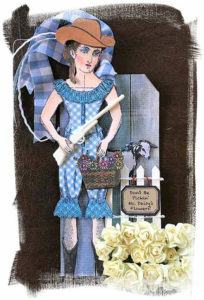 Wishing everyone a very special and loving Easter holiday. 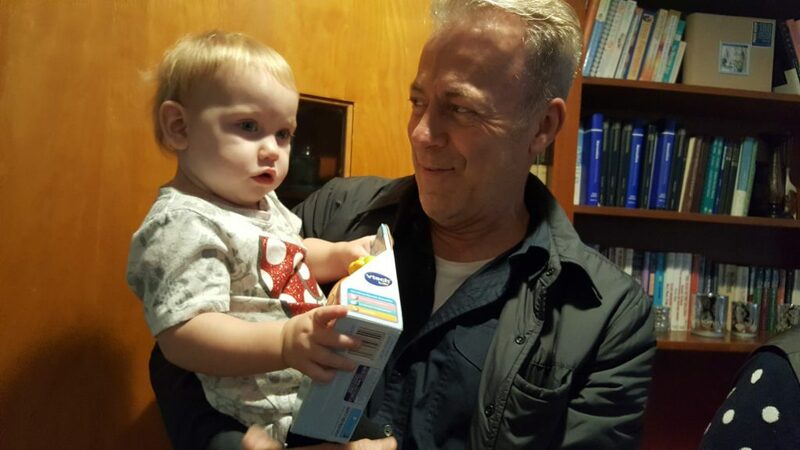 May it bring great fulfillment to your heart. 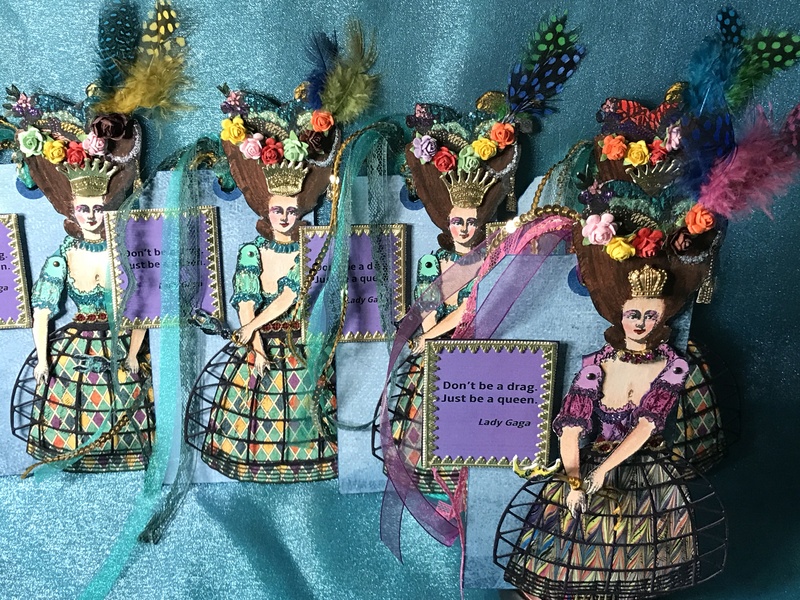 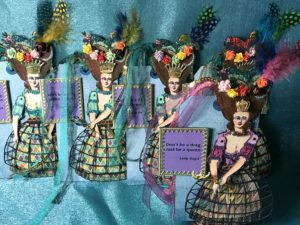 “Masquerade” was the theme of our Character Construction Tag Swap for the month of March. 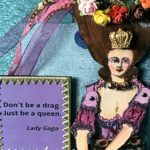 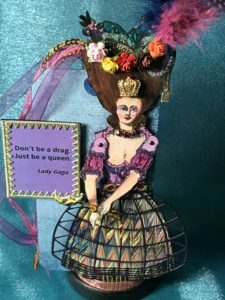 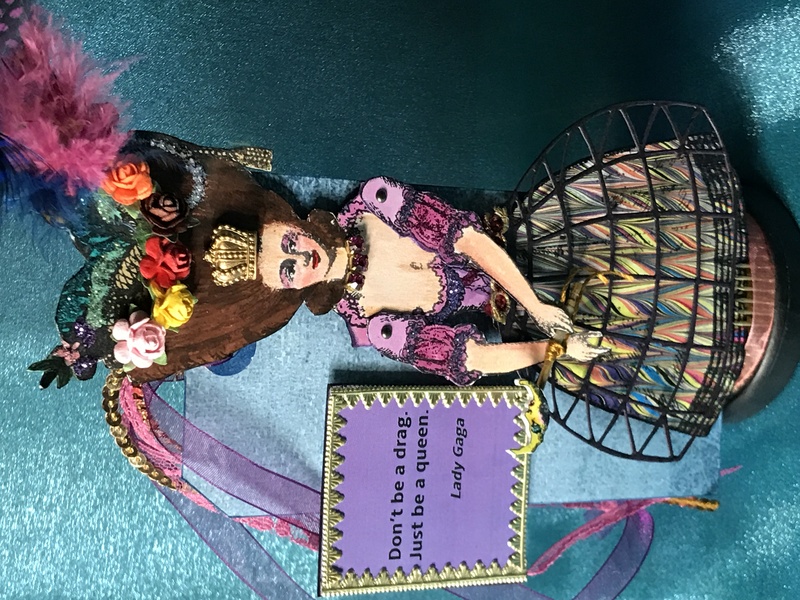 I chose to play on Lady Gaga’s title, “Don’t be a Drag, Just be a Queen” for my tag. 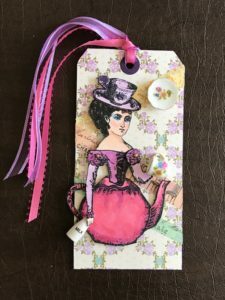 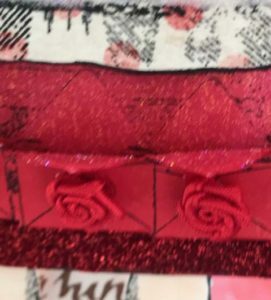 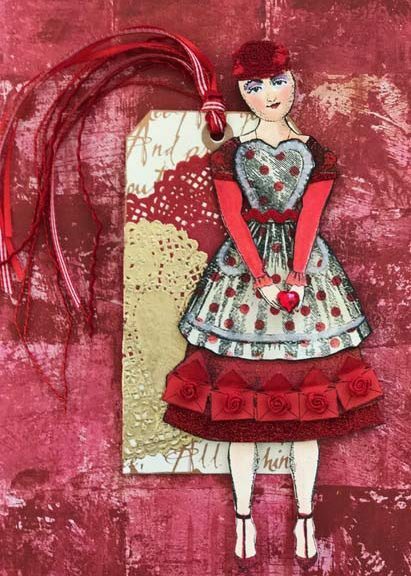 For the tag I used various mediums: Italian paper from Flax, feathers, paper roses, crystals from Jan’s in OKC, crown and various ribbons. 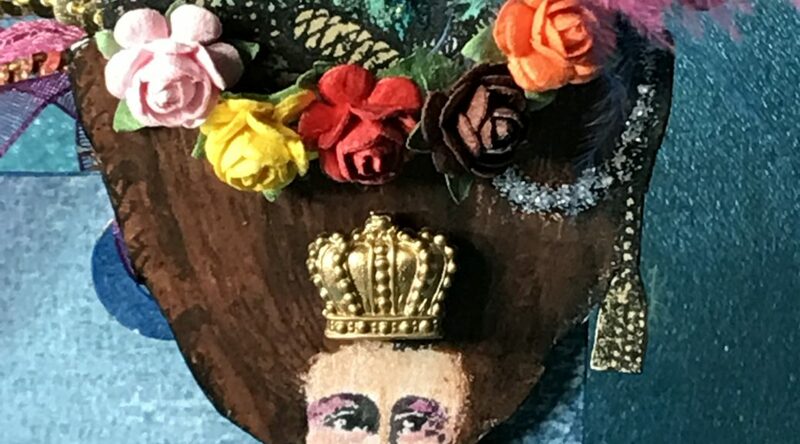 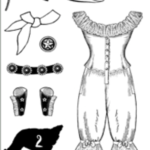 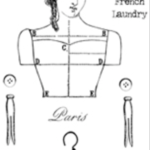 The stamps used for the doll were all Character Construction: head- Queen of Tarts #4, dress- Paris #3, mask- Cirque #6 and matching die for dress. 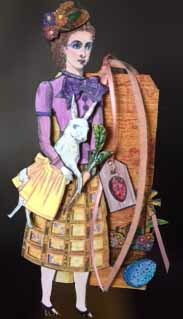 I guess the meaning of this card for me was that life isn’t always as it is presented and at the same time we have to present to others what we want them to perceive of us. 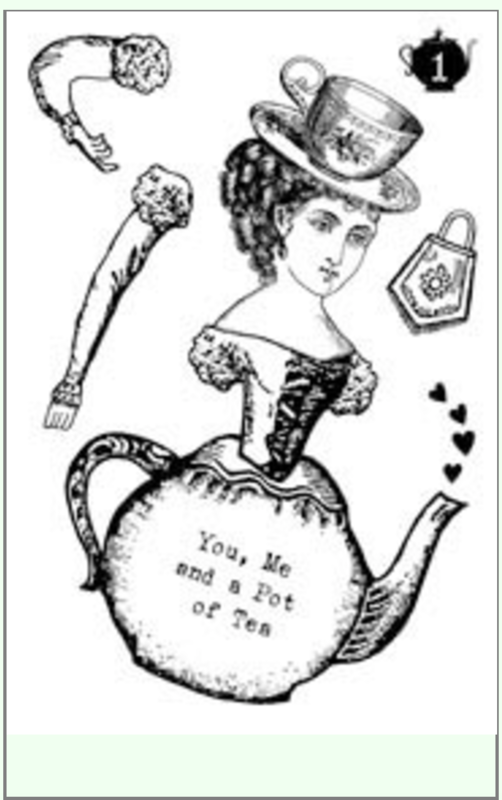 Valentine’s Day has always been a favorite holiday of mine to make cards for dear friends. 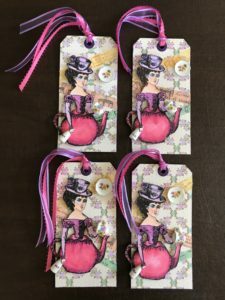 This year our Character Construction Tag Swap had a Valentine’s theme. 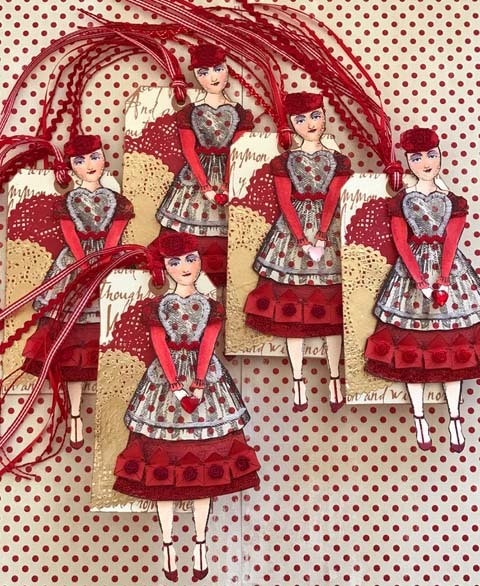 I chose to call my tags, “Love Is from the Heart”. 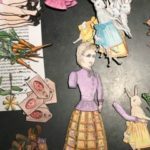 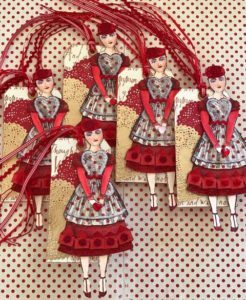 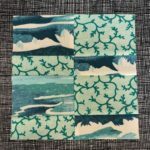 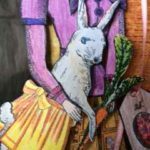 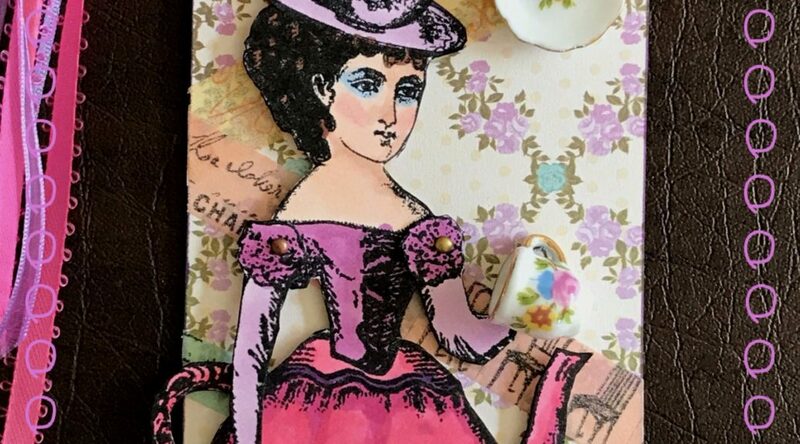 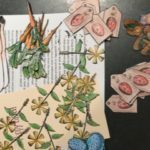 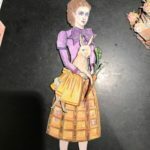 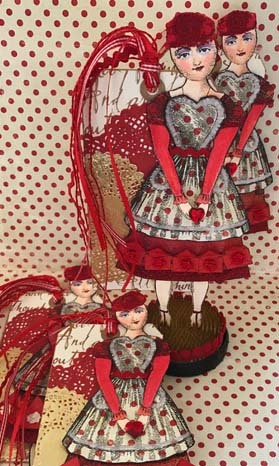 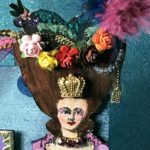 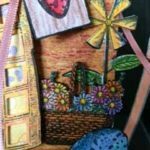 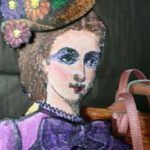 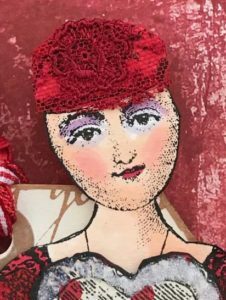 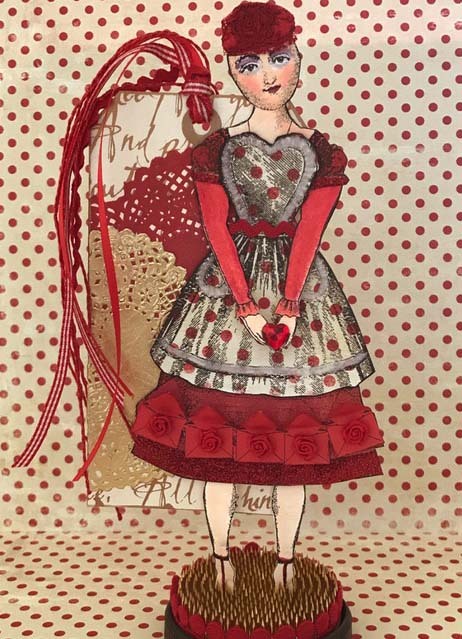 For more than 15 years I have played on the theme of from the heart for all of my card making because of the feeling that I get when I make my various holiday cards for my friends and family. They are always from my heart that I create them. 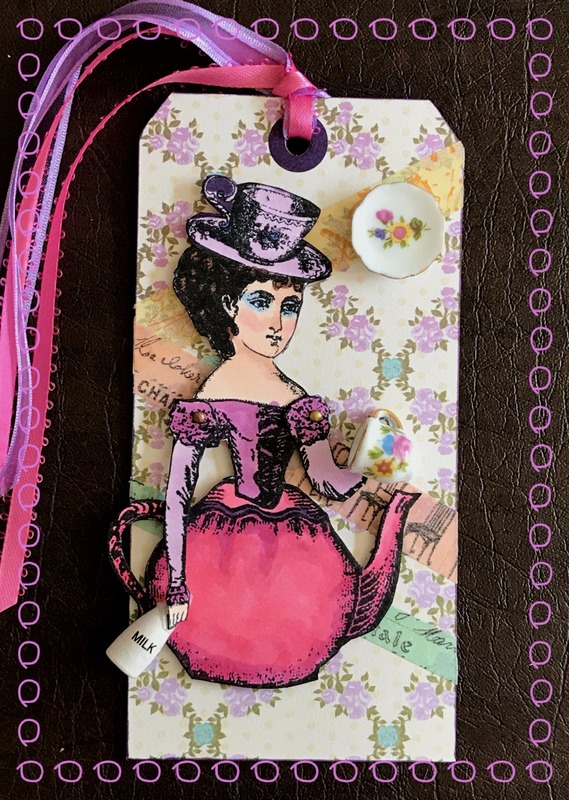 The tag has several layers to it, starting with a base tag that is covered with a background paper with poetic words in gold. 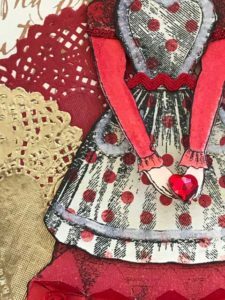 I then applied two lace hearts, one in red and one in gold. 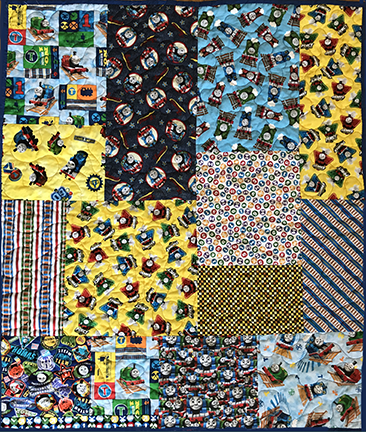 I am always amazed how the different parts from the different sets end up going together so well.